Mentally ill mum who murdered her two daughters refused help because she didn’t want to lose her kids. Mother-of-three Heather Glendinning who brutally murdered her 10 and 12-year-old daughters before killing herself didn’t seek help for her severe mental illness out of fears it would be used against her in a Family Court battle. 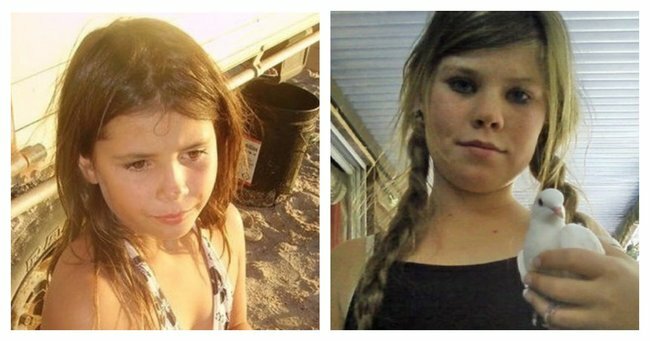 In 2011 Heather Glendinning, 46, killed her two daughters Jane, 12, and Jessica Cuzens, 10 in their home the West Australian town of Port Denison. Police said the frenzied attack was so bad experienced officers were left traumatised by what they saw. The girls lived with their mother, while an older sister, aged 13, lived with her grandparents after a lengthy custody battle between Heather and her estranged husband, Harley Cuzens. Jane and Jessica Cuzens, Via Nine News. The bodies of the two girls and their mother were found by their maternal grandmother after she could not get in touch with her daughter. Their deaths shocked the small community leaving the girls&apos; father and remaining sister devastated. An inquest has examined if anything could have been done to prevent the tragedy. In his findings Coroner Barry King said that the 46-year-old mother had been consumed by a pending court deadline had not been sleeping properly and was smoking increasing amounts of cannabis. Jane, 12, had told a neighbour that her mother was pacing around the house with a bible talking of keeping her soul clean. Jane, 12, had told a neighbour that her mother was pacing around the house with a bible talking of keeping her soul clean. Via 7 News. Mr King said it was often tempting to blame government agencies, but tragedies like this are difficult to predict reports the ABC. “Due to Ms Glendinning’s reluctance to seek help because she feared that her mental health problems would be used against her in the custody dispute, and also because of her ability to mask those problems, the extent of her increasingly delusional state was not diagnosed by mental health professionals who saw her,” he said. “Opportunities to attempt to assess her psychologically were missed, sometimes because of coincidence and sometimes because agencies were unaware of information known to other agencies. Mr King said steps should be made that Family Court judges obtain psychiatric reports so the best interests of children could be determined. “She was never considered to be a risk to herself or to the children.” Mr King said while recommending that the Department of Child Protection and the Family Court introduce a procedure to share, where appropriate, information relevant to safety of children involved in custody disputes reports Perth Now. Police said the frenzied attack was so bad experienced officers were left traumatised by what they saw. 9 News. During the inquest Ms Glendinning&apos;s former boyfriend, Gary Renwick told of how Ms Glendinning had become consumed with the custody battle over her children. He said she smoked up to four joints a day and was increasing paranoid, sleeping with a knife under her bed. "I didn&apos;t think she was a threat to anyone," he said. "I thought she was using it for protection." Mr Renwick said he had suggested Ms Glendinning get psychiatric help but she had refused as she was worried about her custody battle. "I think she was worried about losing the kids if she went and got help," Mr Renwick said. "She said &apos;everyone will think I&apos;m crazy&apos;." Harley Cuzens, the girls&apos; father. Via 7 News. Her former husband, Harley Cuzens, a Broome livestock manager with whom she was involved in a complicated court battle said that he knew his former wife had developed mental health problems, the ABC reported. "Everything you read about what happens to people who use marijuana happened to her," he said. "Erratic behaviour, psychosis, paranoia, schizophrenia. This made her impossible to live with. "There was never a doubt in my mind the kids were by far and away better off with me." The inquest heard how various agencies, including mental health services, the Department of Child Protection, the police, Ms Glendinning&apos;s doctor and close friends all had concerns about the 46 year-old&apos;s mental stability but no-one considered her a serious risk of harming herself or her children. In February the remaining sister, Grace, who was 13 at the time her mother killed Jessica and Jane spoke out about the tragic events saying a court-appointed counsellor should be assigned to every child involved in a family court dispute. The family court granted permission for Grace&apos;s thoughts to be published. The Family Court judgment and orders be found on the Family Court website. “On these days (when her mother didn’t get out of bed) I would try to get my sisters and I ready for school and look after us, including my mum, but then there was no one to drive us to school so we simply didn’t go and amused ourselves at home. “We constantly moved around with me being told for example on a Sunday to pack my bags as we were going and would be starting a new school on the next day. I had seven school changes in eight years. Kid&apos;s Helpline: 1800 55 1800.